Over the past fiscal year (July 1, 2016-June 30, 2017), we have seen growth in a number of meaningful areas. Our partnerships, including collaborations with the health care sector and with organizations outside of the Austin urban core, have expanded. Our policy and advocacy efforts have also taken a leap forward, as evinced by sustained funding via the Austin City Council for healthy food incentives aimed at improving food access, and by Austin ISD’s continued progress on making fresh, healthy and local food a priority on all AISD campuses. Keep reading to learn about some of the highlights, accomplishments, and lessons learned by each of our programs over the past year. Our Grow Local program seeks to improve community health by helping people gain the skills, space, and resources to grow their own food. The program extended an ongoing initiative to increase the capacity of local partners – such as Huston Tillotson University and St. Mary Magdalene Episcopal Church – to serve as “satellite host sites” for our free Intro to Food Gardening classes. We work with these host sites in the hopes that they will become sustaining spaces for communities to access gardening knowledge and resources. Host sites are recruited to be committed partners in this work, as opposed to the one-off approach to hosting food gardening classes that we’ve traditionally followed in the past. Ultimately, we’re hoping this new emphasis on investing long-term in these relationships will foster greater leadership in communities where host sites are present while also helping reduce some of the administrative burdens SFC carries in organizing classes. 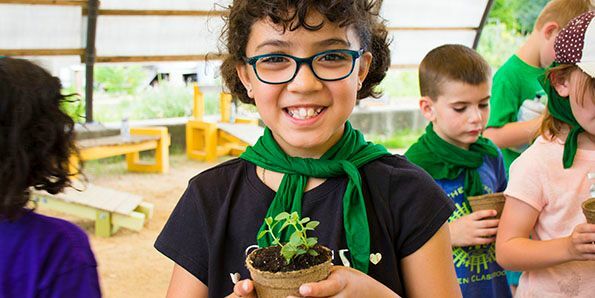 School gardens nationwide and in Austin are as relevant as they have ever been, and Grow Local’s support has been critical in advancing their widespread popularity and use in local school districts. Beyond connecting schools with the physical resources (compost, seedlings, seeds, etc.) 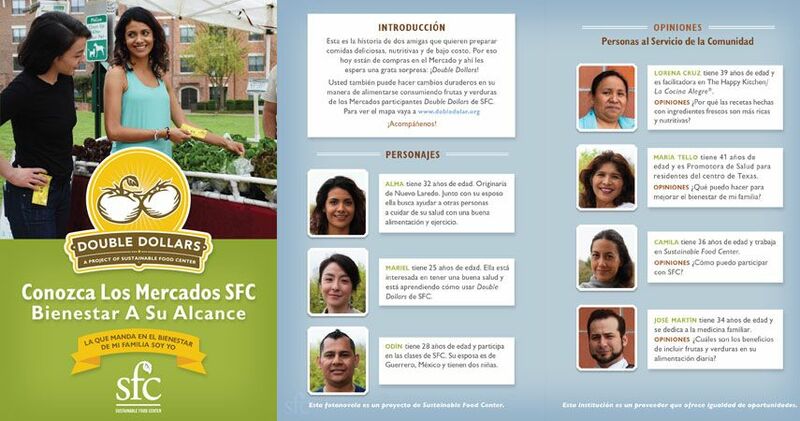 to start and sustain gardens, SFC provides training to educators and volunteers to help them put their gardens to use. Rodriguez Elementary, a school in Southeast Austin where 95% of students are economically disadvantaged, took full advantage of our range of services to help launch their first-ever school garden. Matthew Armstrong, Rodriguez’s new school garden leader, attended a two-night School Garden Leadership Training in September 2016 and quickly gained the confidence to lead a campus team. According to Matthew, “the garden has been a wonderful addition to our campus as both a teaching tool and a source for salads for teachers and herbs for our students’ lunches. We have held two successful weekend garden days that each drew dozens of staff, students, and parents.” The garden has “a long way to go,” he says, but they already have plans to install a 1,000 gallon rain barrel and additional seating in the garden courtyard in the coming year. New staff! 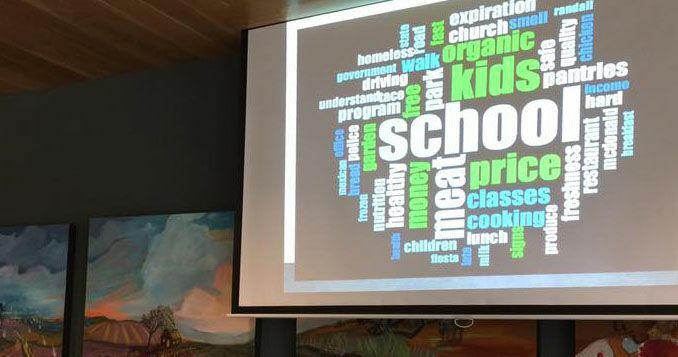 Lucinda Ugarte, the new Grow Local Education Coordinator, started at SFC in February and took over management of Spread the Harvest, as well as leading some Intro to Food Gardening classes. Over 1,250 individuals participated in Spread the Harvest this year, and 80% of newly-enrolled participants represent low-income households (at or below 275% FPL). 209 participants attended 11 free Intro to Food Gardening (Cultivo de Comida) class series. Grow Local led 7 total School Garden trainings for area educators, parents, and community partners. A total of 93 individuals participated representing 40 schools (unduplicated). SFC hosted 13 one-time school-year field trips, 10 summer camp field trips, and 3 week-long camps in partnership with Creative Action, serving a total of 620 youth. In terms of the sheer scale of its reach, Farm Direct is our most robust program. By promoting a “direct to consumer” relationship between local producers and consumers, Austin area residents have better access to fresh, healthy food, and Austin area farmers gain reliable markets to sell their products. Our three weekly SFC Farmer’s Markets continue to enable thousands of customers each year to support the local food system. Despite ever-growing competition among other farmers markets and the emergence of more “local” variety in grocery stores, SFC’s gross farmers’ market sales again surpassed more than $2.1M on behalf of our 80+ vendors. Though not quite as visible as the SFC Farmers’ Markets, “Farm Direct Projects” – which includes Farm to Work – have made strides in creating additional or separate business opportunities for our farm and ranch partners. Farm to Work, which connects local farmers with employees at partner worksites via a CSA-style process, saw a slight decrease in participation this past year, but still managed to generate $181,000 in sales for local farmers. Farm Direct staff also supported Austin ISD’s initiative to increase the amount of food sourced locally by providing guidance to AISD Kitchen Managers on purchasing and through cafeteria events that promote local produce, such as Veggie Samplings or Meet the Farmer Visits. You can find more takeaways about our work in schools in the “Farm to School” section below. SFC staff also led important advocacy work alongside and on behalf of Central Texas small farmers to support the future of their businesses, assist them in accessing emergency assistance in times of crisis, and provide them with scholarships to participate in professional development opportunities. This past year, SFC worked alongside Texas Department of Agriculture (TDA), USDA, and the Texas Organic Farmers and Gardeners Association (TOFGA) to present the 2017 Farm to School Roundup – a great professional development opportunity for farmers to learn more about accessing new markets. Through funding from a USDA Farm to School grant, SFC distributed 11 farmer scholarships to producers to attend the Roundup. Our Farm to School presence has steadily grown and evolved over the past 10 years when we first received a grant from the Robert Wood Johnson Foundation to pilot our Sprouting Healthy Kids project in two AISD campuses. Today, local food promotion events (Veggie Samplings and Meet the Farmer Visits) occur in 41 schools, while even more receive some level of school garden support from us - totaling over 160 schools in Central Texas that are supported by SFC in some manner. Perhaps our most impactful Farm to School effort has been in supporting AISD to begin local food purchasing in schools. In 2015, AISD mandated that all 130 AISD schools begin sourcing and featuring local food on cafeteria menus, and SFC has been committed to helping Kitchen Managers and district administrators in reaching this ambitious goal. Over the last decade or so, the number of people living in poverty in the Austin suburbs grew by more than 140 percent - about double the rate of poverty growth within the city limits. These numbers made Austin the second-largest percentage increase among big cities across the U.S. As expressed in our strategic plan, SFC is dedicated to extending more of our programming outside of the Austin urban core. 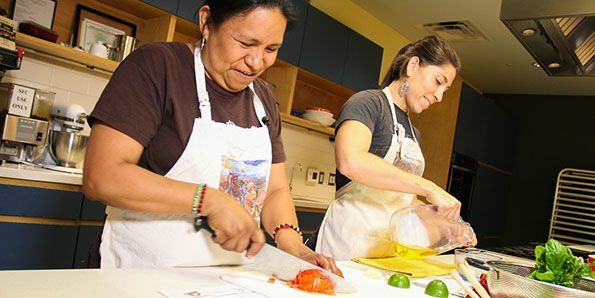 The Happy Kitchen/La Cocina Alegre® has been steadily shifting more resources to communities such as Pflugerville, Hutto, and Elgin to try and reach these folks, and with real success so far. Last year, 4 of our 22 free six-week cooking series were hosted in outlying communities, and all were incredibly well received. The Elgin class, for example, filled to capacity in less than a week. Attendance was so consistent that it was sometimes hard to fit everyone in the small room. In total, 512 individuals attended 22 free six-week series last fiscal year. This past year, Food Access become its own stand-alone department, separate from our Farm Direct program; with the function of supporting all three core SFC programs through streamlined community engagement efforts and advancing projects that make healthy food more equitable and accessible to all Austin-area residents. Other than this restructuring, the activities of the department remain intact (community engagement, leadership development, and administering food assistance programs that benefit low-income communities). Total Food Access sales across all market venues, which includes Double Dollars, SNAP (Supplemental Nutrition Assistance Program), WIC (Women, Infants, and Children), and FMNP (Famers’ Market Nutrition Program), was over $158,488 this past year. To measure the impact of this service, we conducted a survey of Double Dollars clients in October 2016 that gathered data on shoppers’ demographics, motivations, behavior changes, and other indicators. 90% of survey respondents reported consuming a greater amount of fruits and vegetables as a result of the program, and 70% strongly agreed that because of their participation they want to “cook healthier at home.” Through our work to expand SFC Double Dollars to other markets, SFC Double Dollars can now be used at 16 locations in Travis County. New this past year, our Food Access team raised the limit on incentives that SFC Double Dollars clients are able to redeem, from $20 to $30. Our Food Access team also brought on an additional farmers’ market association to participate in the SFC Double Dollars expansion: HOPE Farmers’ Market. Our Food Access teams’ participation in the City of Austin’s Fresh for Less pilot, facilitated the expansion of SFC Double Dollars into five Mobile Market locations. The Fresh for Less pilot is a collaboration between the City of Austin, Sustainable Food Center, Farmshare Austin and GAVA (Go Austin!/Vamos Austin!) to offer fresh, affordable, convenient and nutritious food in key areas of town with a high prevalence of preventable diet related illness and limited access to fresh food. This collaboration increases food access through key sales outlets including, mobile markets, farm stands, and corner stores. SFC operates the farm stand project. Our Food Access team also launched our first ever Fotonovela - a Spanish language publication used to advance public health initiatives in Latin America. 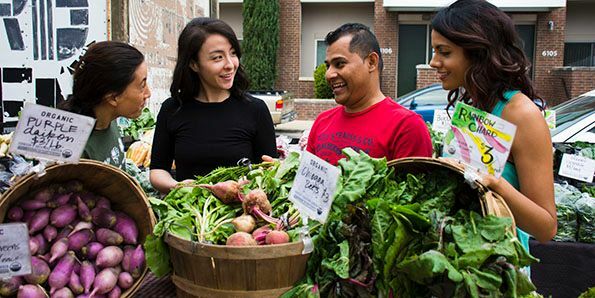 Through a series of vignettes depicted in the Fotonovela, potential customers learn about how SFC Double Dollars can be used as a resource for families to access fresh and nutritious foods. This past spring, we conducted 6 focus groups with individuals recruited from participants in our programs; three were in English and three in Spanish. The goals of the focus groups were to better understand cross-program participation (a key strategic impact goal), to identify opportunities to improve programming and to better understand challenges around eating fruits and vegetables. Two key insights rose to the surface. For one, focus group participants’ awareness of other/multiple SFC programs was low. This was an interesting observation given how excited participants were about the idea of other SFC programs. Simply put, participants were unaware of the variety of SFC offerings, but not disinterested in pursuing more classes. During focus groups, participants actively sought out knowledge about how to participate in SFC programs that other participants were describing. This suggests that awareness may be a key factor in cross-program participation and an important opportunity to develop. Lastly, a desire for more family programming was a dominant theme across focus groups. For instance, programming that can include children and parents, as well as programming targeting teenage youth. SFC will assess internal capacity and investigate opportunities for fostering partnerships to respond to this community need.